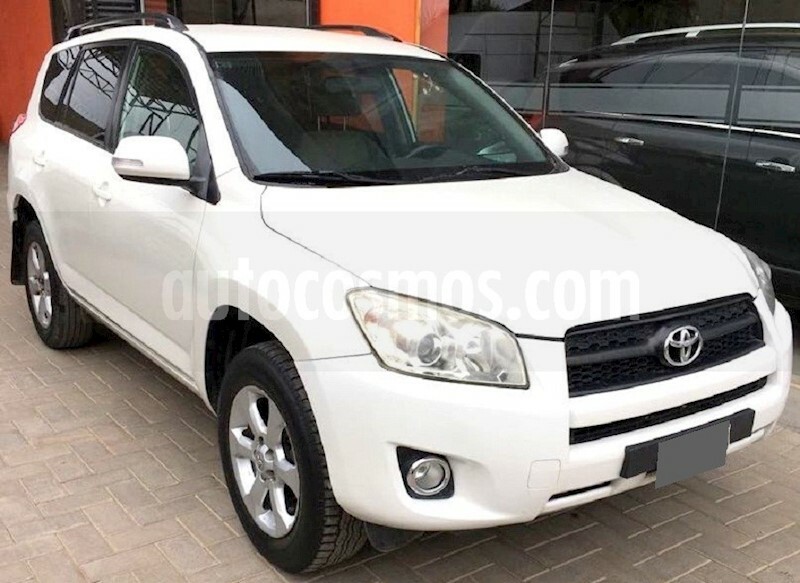 TOYOTA RAV 4 AUTOMÁTICA 4X2 BLANCO PERLADO, 4 CUBIERTAS NUEVAS SIN PISAR, TAPIZADO DE TELA, FAROS ANTINIEBLA DELANTERO Y TRASERO, CLIMATIZADOR AUTOMÁTICO, CIERRE CENTRALIZADO, ALARMA, ALZA CRISTALES ELÉCTRICOS, DIRECCIÓN ASISTIDA, VOLANTE REGULABLE, BUTACAS REGULABLES, REGULACIÓN DE ALTURA Y PROFUNDIDAD, CONTROL DE ESTABILIDAD. RECIBIMOS TU USADO AL MEJOR PRECIO. FINANCIA 100% CON CREDITOS TASA UVA FIJAS EN PESOS SIN PRENDA¡¡.